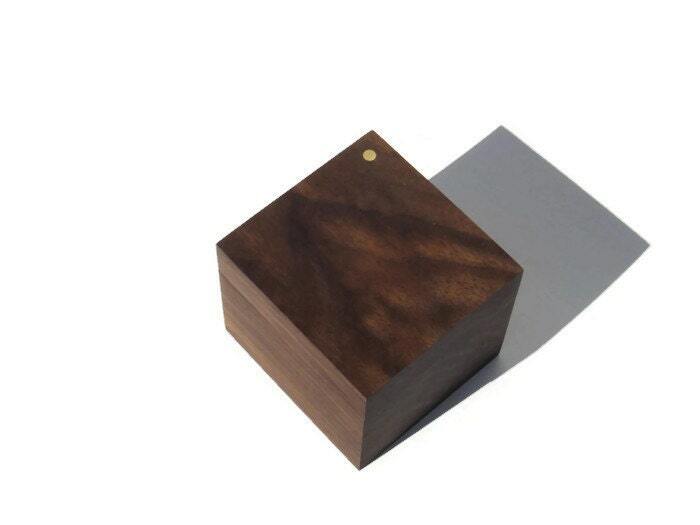 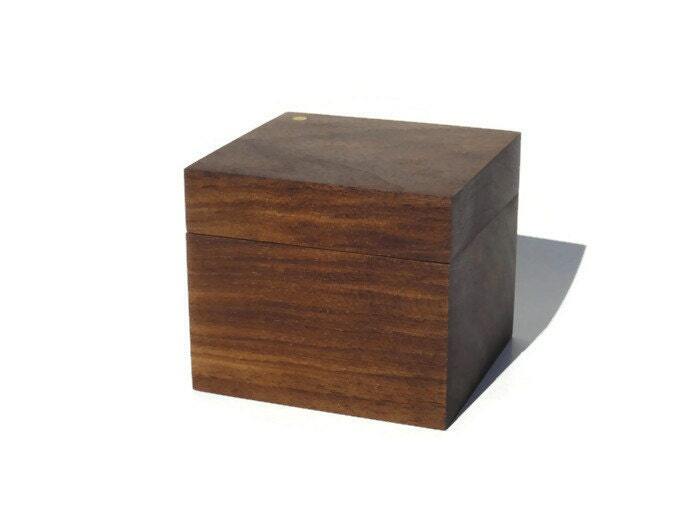 This unique ring box is made of walnut and is finished with wax to reveal the natural beauty of the wood. 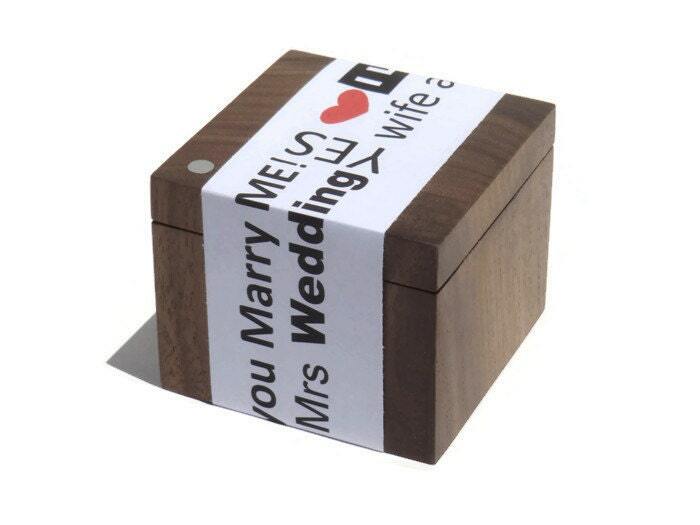 Perfect for treasuring a ring, earrings, or presenting THE ring. 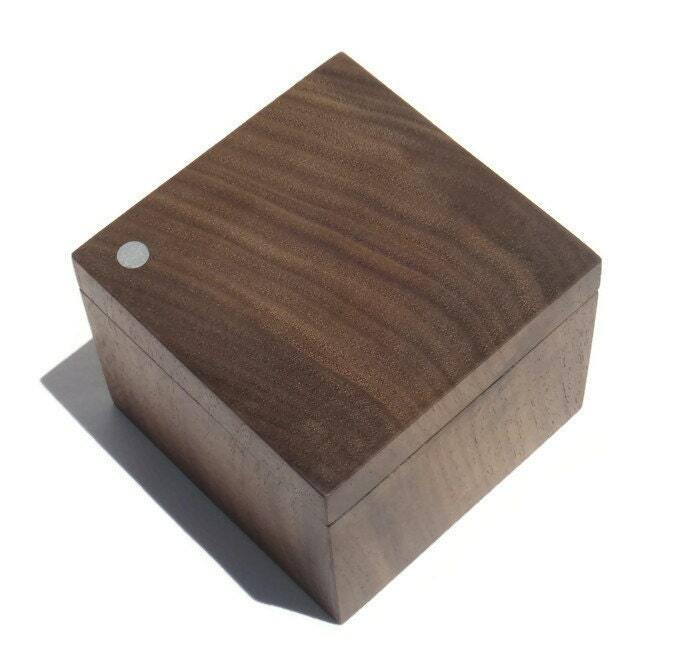 You will treasure this ring box for years to come. 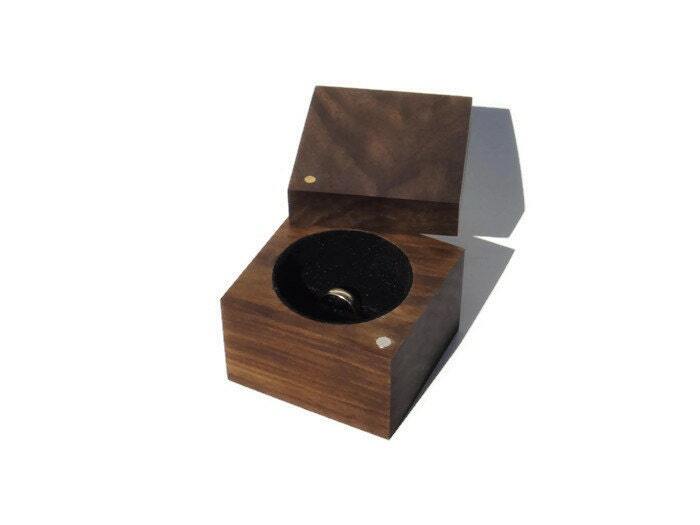 - Inside Measures 2" diameter x ¾" deep with a black felt . 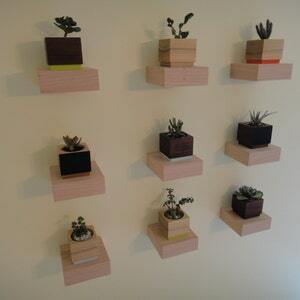 If you are interested in a different size I would be happy to accommodate your request when available.